Home Entertainment What! BTS RM is Racist?! 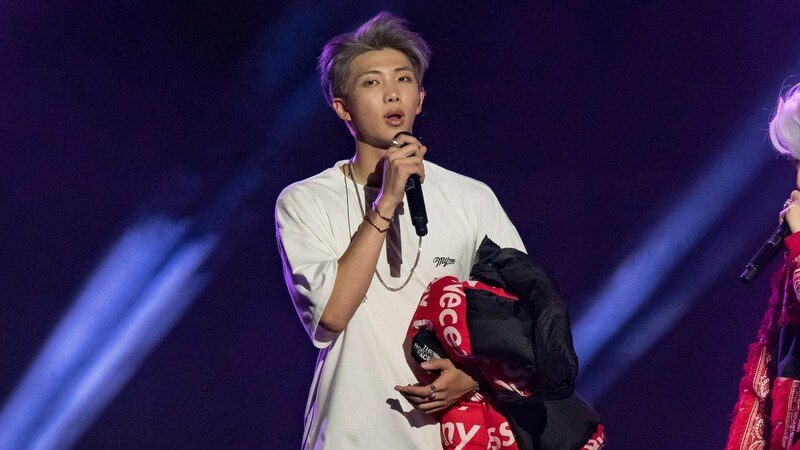 Is BTS’ RM a Racist? Until now, we are all aware of the fact that BTS is a popular Korean boy band that has achieved worldwide popularity. Even though they are a rising star, did you know that there was a time when they got in trouble because of a comment involving racism? BTS’ leader, Rap Monster, or now better known as RM, is at the center of this issue. Are you curious to learn what kind of issue he got himself into in the past? Let’s take a look at it! In the first video, we can see that RM is making a joke about his first impression of BTS’ V and J-Hope. RM said, “When I first saw V and J-Hope, I couldn’t see them because they were too black. When it got dark at night, I couldn’t find them.” This comment immediately raised some backlash, especially from international fans. BTS’ performance in the second video that shows the lyrics of RM’s rap mention the n-word, which doesn’t make the problem go away but only adds oil to the fire. But, the opinions about it differ among the public because it’s not like RM is the one who composed the lyrics. In one of his interviews, RM apologized about this matter and reflected on his mistakes. He gave a long explanation of his realization that his comment could be interpreted differently by other people, especially by international fans as this issue is really sensitive for them. RM said that before, he never thought that his behavior, music, or words could hurt or cause inconvenience to other people. But as he went through the year of 2016, he thought differently about this matter and thought about his words and behaviors, that regardless of his intention, they could cause troubles or hurt others’ feelings. He also realized that what he said or did could not be undone. From this long interview, we are able to conclude that RM is not a racist. It’s just that he didn’t think about the matter thoroughly, and he clearly didn’t have any intention to make a racist joke. Besides, it is known among the fans that RM doesn’t discriminate people and supports all types of artists and people. Through this issue, he could grow and change into a much better person after learning from his mistakes in the past. Let’s hope that he continues to grow into a better person just like what he is doing right now! So what do you think about these issues? Do you still think that RM is really a racist, or he just blurted the comments out of ignorance? Don’t forget to share your thoughts about RM in the comment section below! Here Are Photo Comparisons of Hong Soo-ah’s Appearance! Did She Undergo Plastic Surgery?